If your elderly loved one has kidney disease, you are no doubt familiar with the extensive treatment process they must go through known as dialysis. While the procedure is critical to ongoing health and wellness, dialysis takes a lot of time and energy. Also, the side effects of both kidney disease and the dialysis treatment can leave your aging loved one with plenty of health issues that they will need your help to address. To get dialysis treatment, aging adults must go to a hospital or clinic and be hooked up to a special machine that filters their blood. This can be several times per month to several times per week, depending on the doctor’s orders. The biggest obstacle for seniors with kidney disease is to make dialysis appointments and get to the location. Family caregivers must work out a schedule with the dialysis center and make transportation arrangements between them. Side effects from dialysis treatment all depend on the individual—some people are afflicted with numerous effects while others experience fewer. Common symptoms include itchy skin, nausea, fatigue, low blood pressure, dry skin, muscle cramps, malnutrition, blood clot issues and possible infections. Elderly adults may also experience anxiety or depression as a result of all the stress associated with repetitive dialysis treatments. Once you recognize what the symptoms are, you can take an aggressive stance in helping your aging loved one deal with them and feel better after they’ve had a dialysis treatment. Right after dialysis, aging adults are most likely to feel those debilitating symptoms. That’s when they will need you most. 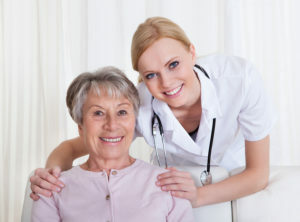 If you cannot be with your elderly loved one in the days after dialysis, consider hiring home care providers to help with care and companionship. 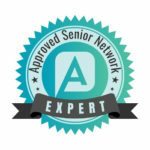 Home care providers are professionals that know how to assist aging adults with all kinds of physical and cognitive challenges, from arthritis and diabetes to cancer and kidney disease. Home care providers can give you the support you and your elderly relative need in the days following a dialysis treatment. There are many things that family caregivers and home care providers can do to make the aging adult more comfortable and withstand the health issues triggered by dialysis. With itchy skin, they can help apply lotion or moisturizers to relieve the irritation. Anti-nausea medication can keep their stomach settled and seniors can drink plenty of fluids to help with everything from the dry skin and low blood pressure to muscle cramps. Proper nutrition, plenty of sleep and reduced stress will also make aging adults better able to cope with the side effects of dialysis. If any other symptoms seem to be bothering your elderly loved one, don’t hesitate to contact the doctor for advice. Your role in making sure your aging relative is getting the treatment they need is a big one, but with focus and determination, you can keep your elderly loved one comfortable and healthy.